As early as March 8, 1993, some long-range weather models were hinting at a humongous winter storm event for the East Coast of the USA. It proved to be amazingly accurate. Along the Texas Gulf Coast early on the morning of March 12, 1993, a low pressure area was beginning to deepen rapidly. It was already gathering an unbelievable amount of moisture from our old friend, the Gulf of Mexico. PS: Here I go again. I often wonder what the big 1993 storm would have been like if we did not have our old friend, the Gulf of Meciso. Back to the story…by Friday evening, oil rigs off the Louisiana coast were reporting wind gusts to hurricane force. The storm had already become a monster. It eventually brought the first widespread blizzard in history to parts of the Southern USA. Dr. John Knox, a Birmingham native and now a research scientist at the University of Georgia (he received his doctor’s degree in atmospheric science at the University of Wisconsin). 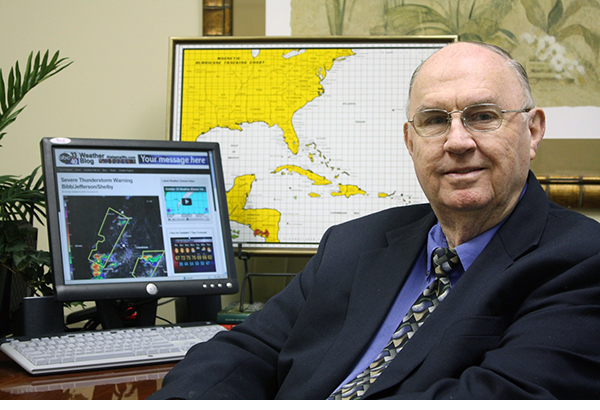 He co-authored an excellent college-level instructor’s meteorology book with the title of “Meteorology, Understanding the Atmosphere.” Naturally, being from Birmingham, he wrote about the Blizzard of ’93. 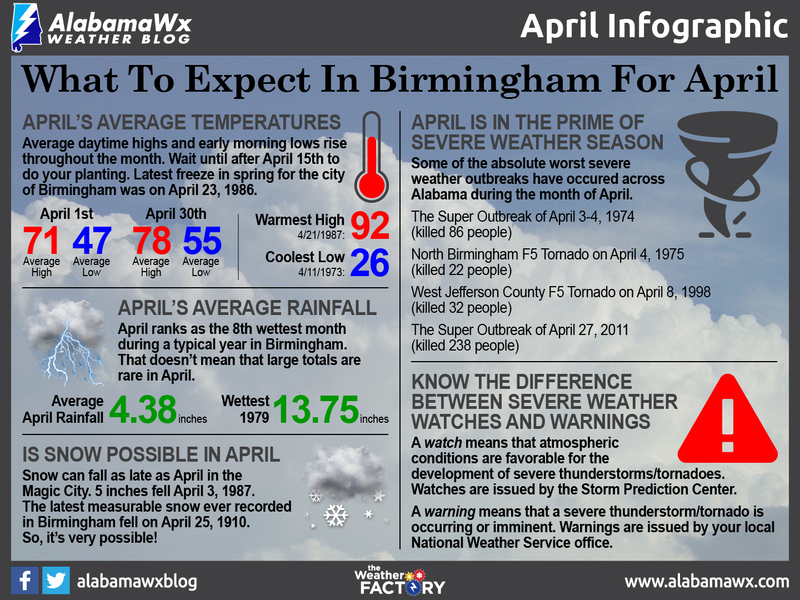 He told how the atmosphere became so unstable that thunderstorms developed in the cold air, which helped the storm to dump several inches of snow each hour on Birmingham. There was a lot of eerie green lightning followed by the muffled sound of thunder. With the atmosphere overloaded with big snowflakes, part of the sound of thunder was absorbed. John mentioned that a radio tower on Red Mountain was struck 12 times by that eerie lightning. He also wrote about 50 University of Wisconsin students en route to Panama City getting stranded in Birmingham, when their bus skidded off a road. 1. Centered over the NW Gulf of Mexico early on March 12, 1,000 millibars. As Bill Murray pointed out, this made it as strong as a Category 3 hurricane considering the pressure. From the Northern Gulf, the low moved on shore near Cedar Key in the Big Bend area of NW Florida. Winds on land gusted over 110 miles mph with a great deal of damage. There were a number of tornadoes and a number of fatalities. In our earlier post, we mentioned some of the Eastern USA snow amounts. We repeat just a few. 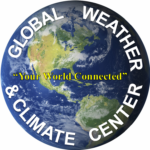 Dover, Delaware had the honor of reporting the lowest pressure in this giant storm–28.41 inches at 8:00 p.m. on March 13. Remember, this does not count drifts. Those drifts were humongous in some areas, especially by Alabama standards. The drifts were 5 to 6 feet deep in parts of the Birmingham metro area. The official Birmingham snowfall of 13 inches was recorded at the airport. Naturally there was more in the higher terrain. For example, there was 17 inches where I lived at the time in the Huffman area not far from Medical Center East. Soon after the storm, the National Weather Service received a report of 15-foot drifts in some of the higher terrain of NE Alabama. This was not a record event for everybody. For example, Auburn’s 5 inches pales when you compare it with their biggest snow around Valentine’s Day in the 1970s when they were buried under 14 inches. I apologize for such a long post, but it is easy for you to scroll down rapidly if you get bored. I hope James Spann will post an account of his actions during the event. At one point, he was calling for a snowstorm of historic proportions. That was a very strong, but accurate statement. The supermarkets were cleaned out.